Anathema, who recently announced the release if their eleventh studio album, The Optimist (June 9, Kscope), share new song “Springfield” as the band launches pre-orders for the 11-song collection. 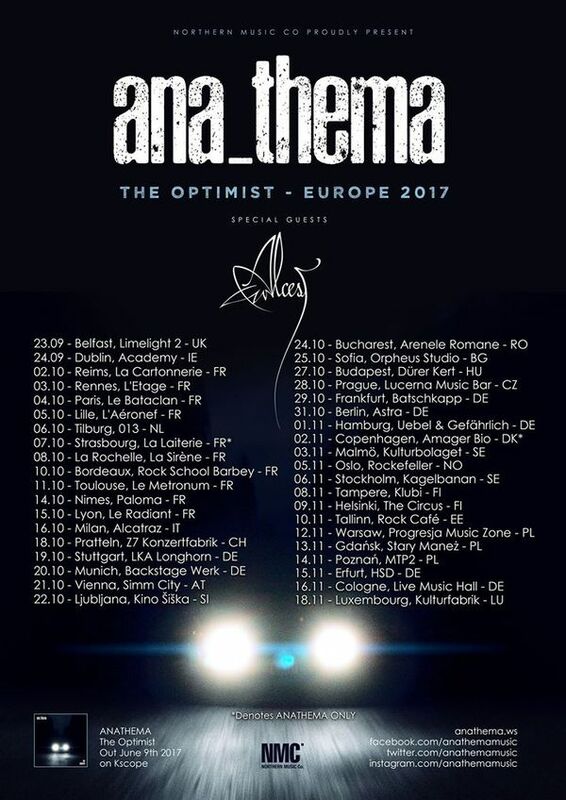 A European tour has been announced, with Alcest opening. Tickets are available on April 3 at 10 am local time. North American tour dates will be announced soon.